This new imagery is specific to Leap and openSUSE’s rolling release Tumbleweed will have its own new imagery in the future, which is distinctly different from Leap so users will know what system they are using if they are uses of both distributions. Users wanting a long-term, stable Linux system can expect Leap to use the most advanced long-term supported branch of the Linux kernel, 4.1 series, which provides significant improvements to ARM hardware architecture. Anyone who wants to be a tester should download the Beta and test it on their hardware or virtualbox. Testers who do download and try the Beta are encouraged to try their favorite application or simply use it until the scheduled release of Leap’s RC1 on Oct. 15. Testing and reporting bugs will help improve the RC1 release as well as the official release of openSUSE Leap, which is scheduled for release Nov. 4 during SUSECon in Amsterdam. The Leap Beta reverts back to XDM 1.1.10 rather than 1.1.11, which is available for Tumbleweed and 13.2. The Beta has an update to KDE Plasma Framwork from 5.12.0 to 5.13.0 and well as additional packages. There are about 7,200 packages in the Beta. Leap is developed using core source code from SUSE Linux Enterprise and ingenuity from Free and Open Source Software developers to provide an entirely different distribution for Linux users. Doing an article in spanish for spreading!! Woah, that’s new. I guess I’ll have to move to Tumbleweed for my 32bit atom netbook? New LO version is quite buggy atleast for me. Crashes often but 4.3 series is rock solid so it feels like a wise choice imo. That some kind of trickery, the base system is still taken from SLES 11 SP1 (nor SP2, SP3 or SP4 nor even from SLES 12). If they going to compete leap 42 vs Ubuntu thats only matters in terms of LTS (long term service distribution) and not in the new Enterprise features. So personally I don’t think they can feed with these distro on user database of Ubuntu Server, Ubuntu, Debian, CentOS or even brand new Ubuntu Core (Snappy). So if we do not have SLES 12 / 11 SP4 code base for LTS free daily usage with or limited Enterprise features what else would matter to use 42 leap over these describbed upper Linux world monsters? I think they are too late with that idea, they saw Ubuntu Core Snappy and starting scratch their heads ;D but way too late, when Debian is almost dominate on webservers Linux world for years. What the purpouse of these 42 leap? I mean leaps doesn’t feel good name for LTS stable to hell distro, we do not want to jump around our server, we want it to work stable and have package base of Debian with new Enterpise SLES base for free, otherwise it’s still more comfortable to use Debian or Ubuntu Server (Ubuntu Core Snappy) or some else Ubuntu flavour. Personally I am a way to long time ago sticked with Debian based distros and I found it very flexible, stable, mature and reliable for daily usage on the desktop/servers, everywhere. And I found that openSuse is clunky and miss many liked Ubuntu Desktop features from my point of view it completely destroys any think to leave openSuse on my desktop. Later on I’ve replaced it with 14.04.03 LTS Ubuntu Desktop again, well I’ve tried 13.1 and 13.2 respectively, and even updating 13.1 to 13.2, while still BTRFS (as killer feature) wont allowing me to upgrade transparently from 13.1 to 13.2 and it is slow compared to EXT4. So I’ve going to reinstall opensuse over an EXT4 partition then, but even though I feel I missing many intuitive things from Ubuntu Desktop. While Ubuntu itself it’s still not perfect to me, but from many distros I’ve used up before I am strongly prever Ubuntu over others. So as a Desktop and Server user I want to know what is the end purpose of these 42 leap in terms of porting in these SLES 12 / 11 SP4 base system components with fresh desktop environments. Do we see more advanced stable core from Enterprise system that can compete with Ubuntu 14.04.03 LTS in terms of robust stability and non volatile lacking of support? Did these distro provide some launchpad analogs and bugreport system in there somewhere like how it done in Ubuntu Desktop edition? What will be with an standard openSUSE and how it’s will be integrated? I mean develop two linux distributions needs much more people resources even OBS here is presented. The beta feels great so far. But a clean localization (for example in german) would be nice. Still a problem that you have gnome in german but yast and libreoffice in english. Please fix it. I’ve noticed that during the installation there are lots of references in the slides to openSUSE 13.2 being installed, instead of 42.1. However, In the installation’s main screen the version was correct. – The base system is still taken from SLES 11 SP1??? <- True??? – Leap is X86_64 / AMD64 only, there isn’t 32-bit version, and i think never be??????? <- True??? They said from the beginning there would be no 32-bit version, although I sure hope that changes. So it is true after all! Heard some rumors that 32-bit hardware still exists in some remote place, although I haven’t seen any in a looong time. actually, 32-bit is very useful for small virtual machines where you expect a few hundreds of mb of ram to be available. 64-bit is an overkill there. iso image boots, GRUB starts, Installation starts. Initialization fails, License does not appear, screen goes blank. End of story for me. Back to Tumbleweed. First of all I am amazed at how much whining there is for an early Beta version of a project that is such a big change both in terms of infrastructure and development cycle. As for the Ubuntu guy… Honestly, dude, I used Ubuntu desktop on a daily basis for about a year and found it buggy and unstable, it crashed quite easily, setting up VNC was a nightmare and was quite unstable. I don’t know what kind of features you are missing, but I assume you are referring to the “broken” Gnome DE they call Unity… Anyways, instead of whining here, why don’t you simply post in the forum or open bug reports? Secondly I am very excited to see this project moving ahead so fast, I didn’t think SUSE and the community would need only 2 years to have a working version of this project (was announced in 2013 at the openSUSECon). Good luck to the SUSE teams and the community members involved in this exciting project and a really big “THANK YOU!” for your efforts! Beta is the right time for complaints. Pointing out boneheaded decisions before they are pushed out as “stable” is the exact correct thing to do. There is no miracle patch that will fix problems that weren’t reported because of fear of being labeled a whiner. Still serious troubles with virtualbox … so, no possibility to test??!! Where is krusader (and a lot of other apps) ??? But KDE5 does not work in virtualbox!!! If you have trouble with Plasma 5 in VirtualBox, disable 3D acceleration in your vm settings. I’m trying to install 42.1 from netinstall image to KVM (13.2) and have no luck. On System Probing screen (Load kernel modules for hard disk controllers) system stuck. for the final version, will it be possible to upgrade from opensuse 13.2 x64? if so, are there any precautions to follow besides tne usual data-, os- or partition-backups? are there any hardware issues like nvidia, networkchips etc.? I tried the 42.1 beta directly on my machine, I need two installs to get it run. Iḿ such a crazy guy switch sometimes between KDE and GNOME, having both desktops and try an “upgrade” have failed , second try was install with GNOME desktop works for a Beta release quite good. Missing are the native NVIDIA drivers I guess they will follow soon, nouveau is a bit laggy, but that was allways. gstreamer recently updated to version 1.6 and pulseaudio to version 7 , are these versions will be in openSUSE 42.1 ?. To start correctly opensuse 42.1 kde in virtualbox, virtualbox must have 3d acceleration disabled. * How to modify login session prompt to not to show users or last user, etc.?? Hope it will not have a problem with logging in into system after install like alpha 2. I had such problem on both VM and HW. welche repo´s sind nötig, um die OS42,1 immer aktuell zu halten?? The kickoff application launcher in the new KDE is just awful. The KDE 4 launcher is more compact, easier to find things and nicer looking. Please make sure we can go back to something sane. My laptop is old but running fine (and hopefully will continue to do so for years to come). Reason for me to move to Linux. 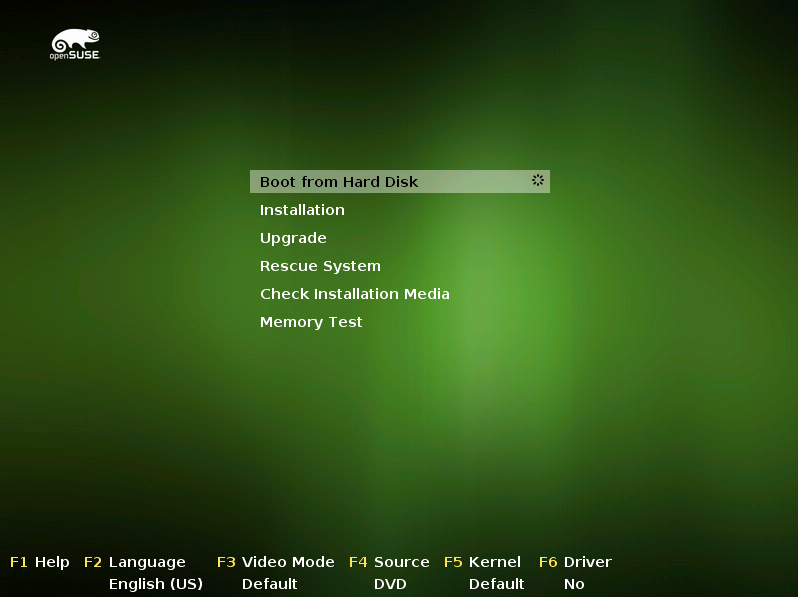 Ended on opensuse/xfce as it was the best looking, most complete and hassle free distro I could find. Where should I (and many others) go when leap takes over?